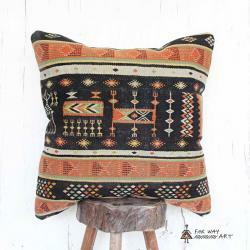 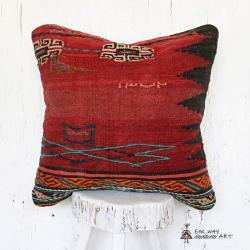 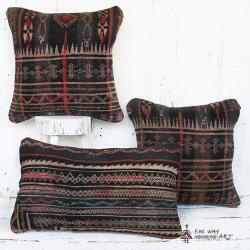 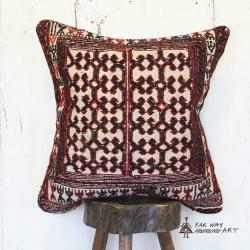 This kilim pillow is made from a gorgeous vintage Persian tribal rug with a unique design. 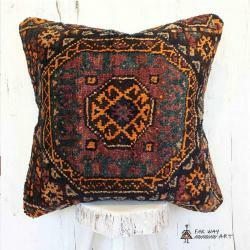 _It is fashioned from a vintage Persian rug so there might be imperfections, flaws, or signs of wear on it. 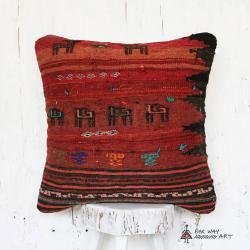 It is more a decorative artwork with historical and artistic value rather than an applied pillow.